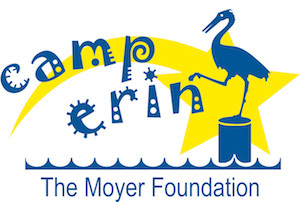 Created and supported by The Moyer Foundation, Camp Erin is the largest national bereavement program for youth grieving the death of a significant person in their lives. Children and teens ages 6-17 attend a weekend camp experience that combines traditional, fun camp activities with grief education and emotional support, free of charge for all families. Led by grief professionals and trained volunteers, Camp Erin provides a unique opportunity for youth to restore hope, enhance self-esteem, and learn that they are not alone. There are 48 locations in the U.S. and Canada serving over 3000 grieving families each year.